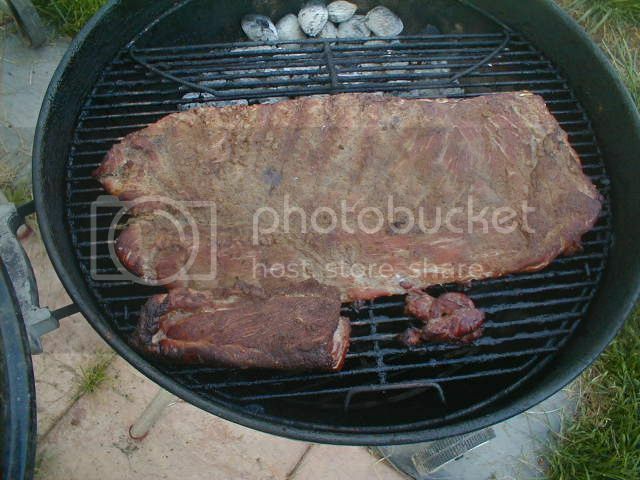 Will I be able to fit two racks of spare ribs on the 22.5 kettle? 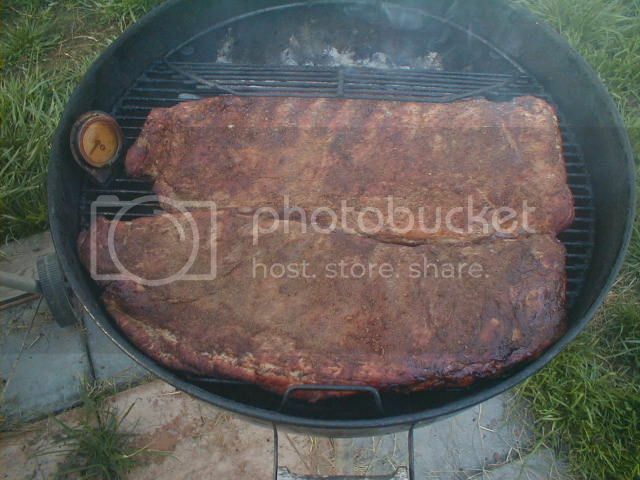 I would prefer not to use a rib rack. But you need to roll them and our a skewer to hold them together. Trim them St Louis style and cut them to 11 bones long, and you should be able to get them on, as well as all the trimmings. Worked well for me - did the 3-2-1 method and the two racks were gone in no time! 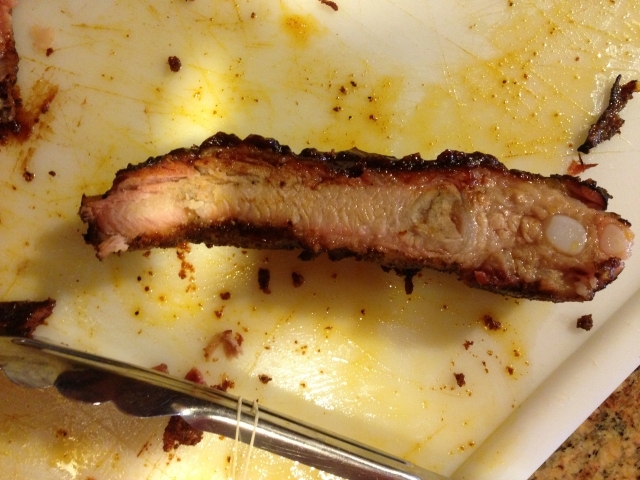 "and the two racks were gone in no time!" Welp, there's your indicator right there !!!!! 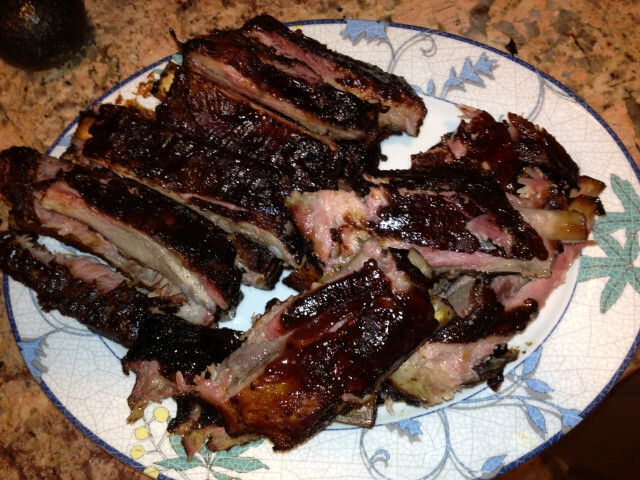 looks pretty good.......crispy bark, tender inside....that's the goods !!!! Just for informational purposes - I did the snake method - 2 briquettes on bottom, one on top of them. Used 4 hickory chunks and two foil packets of apple. Made the snake about 330 degrees in circumference and had about 7 briquettes that never burned. were you able to determine approx. grate or cooker temp? and how much moving around of the grate or meat was needed to keep the meat from above the coals? I was about 250F at the dome during my temp checks. 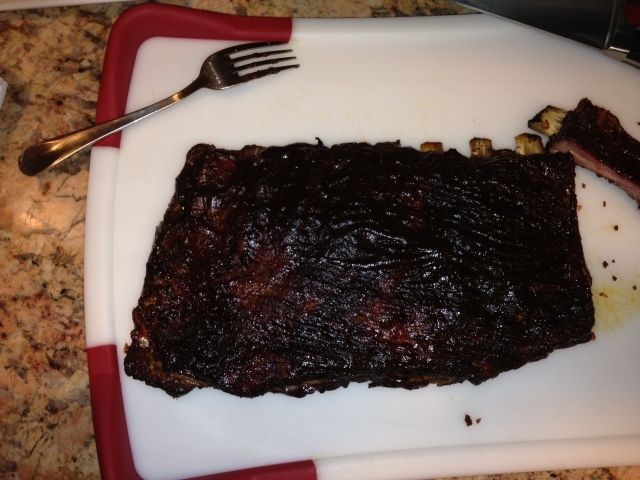 I placed the two racks on the unlit charcoal side until it was time to wrap them. Then I wrapped them and put them over the burned side. I unwrapped them and placed them over the burned side for the last hour as well. I placed the rack that was furthest away from the coals during the initial cook closest to the coals during the last hour. Good deal.....taking a moment to give a step-by-step really helps folks make their decisions on how to set up for these things....thanks !!! !